If you are interested in an ideal, walk-to-everything location in Chestnut Hill, look no further than 8305 Seminole Street, a magnificent stone residence, beautifully sited on just over half an acre. 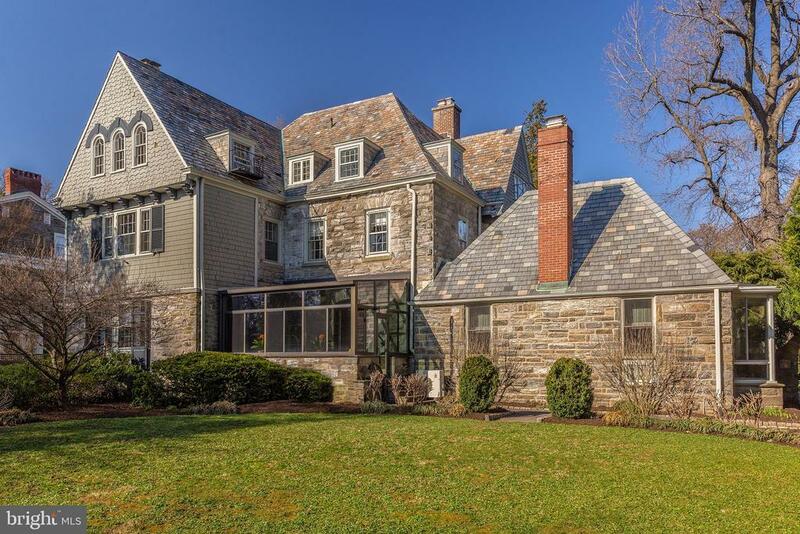 This fantastic house was designed by prominent Philadelphia architect brothers, George and William Hewitt, the same architects that Henry Houston hired to create and plan the "bedroom community" of Chestnut Hill, offering 5500 sqare feet of living space plus a fantastic in-law or nanny suite. The first floor features a brightly lit, gracious floor plan with coveted and lovingly maintained architectural details and moldings, . Large entry hall with handsome wrought iron staircase, formal living room, dining room, handsome library, family room and sunroom. Gourmet kitchen with breakfast room, pantry and mudroom. Upstairs, in addition to a spacious, light-filled master suite with fireplace, you will find two floors of family bedrooms, baths, offices, laundry and a comfortable living space perfect for in-laws or nanny. Clean, dry basement just waiting to be finished. Outside, beautifully designed stone walls, fountain and flagstone terraces provide the perfect entertaining space and an extremely private setting within walking distance to the Chestnut Hill village, schools, a world class sports facility, and trains to Center City. Like to run, hike and bike? You are just steps away from the coveted Wissahickon trails. It simply doesnt get any better than this!